Atlanta metallers Mastodon have added a new tour to their 2018 itinerary. The guys will hit the road with Dinosaur Jr. for a handful of North American tour dates stretching through September. The tour will pick up right as Mastodon’s previously announced tour with Primus winds down. The Mastodon, Dinosaur Jr. run will set off Sept. 1 in Edmonton, Alberta, in Canada and run through a Sept. 19 show in Hamilton, Ontario. Tickets are the shows go on sale to the general public at 10 a.m. local time Friday (May 4). In other news, Mastodon recently released an animated music video for “Clandestiny,” a song that appears on their Reprise Records album “Emperor Of Sand.” The video was directed, produced, animated and edited by Ariel Costa, who has crafted music videos for Led Zeppelin and Green Day. 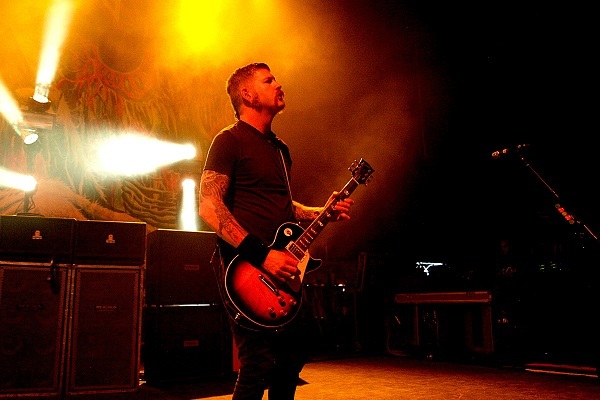 Mastodon also recently released a four-song EP called “Cold Dark Place,” featuring never-before-released songs songs from the “Emperor of Sand” sessions.